Hana is located on the Northeastern coast of the island. This means that the coastline in this area is bombarded almost continuously by waves, swells and oftentimes wind that comes straight off the great expanses of Pacific Ocean. 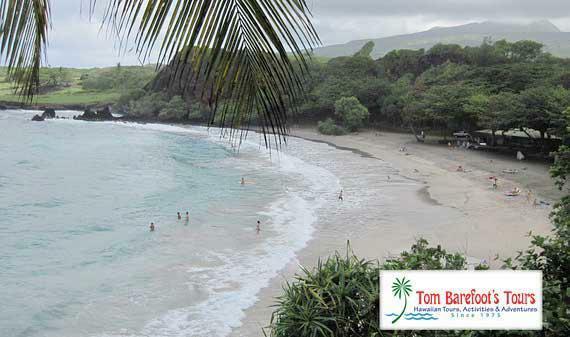 We say this because although there are some great beaches in the Hana area they can also be treacherous as has been evidenced by the number of drownings and near misses that have occurred in the area over the course of years. You should always ask someone who you think may have a clue about the conditions on that day and if it is safe to venture in the water, and if so where in the water you should be. Conditions can change quickly and is always a good idea to spend some time studying the water for a time yourself before you make your decision to get in. 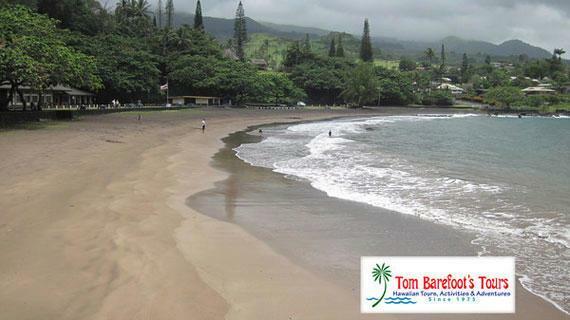 The great thing about the beaches in Hana as that they are for the most part made of black sand or even red sand. If there are any questions that we can help answer for you about the beaches in Hana or anything else regarding traveling to Hawaii please contact us on the phone or by using the contact form below. We had a great time at Wainapanapa, thanks!